Win a 5-star holiday in the spectacular Peninsula, Paris – a hotel that is the epitome of Parisian style, glamour and luxury, situated mere steps away from the Arc de Triomphe. Travel to Paris stylishly with Eurostar Business Premier , enjoying Michelin-designed gastronomy as you make your way to Paris. Start your journey off in ultimate style in Business Premier Eurostar. Relaxing with some tasty treats, enjoy the exclusive selection of magazines and newspapers in the Business Premier lounges. The Eurostar menus have been specially designed by Raymond Blanc OBE, the Michelin-starred chef. So you can enjoy an indulgent dinner, a delicious lunch, light bites or a hearty breakfast, while en route to Paris to stay at the Peninsula Paris. As soon as you step inside the Peninsula Paris, it’s obvious that this extraordinarily beautiful hotel is inspired by Haute Couture. Located in the heart of Europe’s most romantic city, the Peninsula Paris is within walking distance of some of the most famous museums, monuments and luxury shopping in the world. A stay at the Peninsula Paris is hard to rival. Its commitment to elegance and timeless luxury can be felt throughout. Romance and glamour are in the air, and world-class service is a natural phenomenon here. The Peninsula Paris is home to 200 luxurious rooms, which includes 34 suites. In fact the theme suites of the Peninsula are some of the most spacious you can find in Paris. The suites are showcases of French savoir-faire and heritage. The Peninsula brand blends a unique combination of innovation, tradition and heritage, with stunning facilities and the utmost style. Of course the Peninsula Paris is part of one of the world’s leading luxury small hotel groups. The Peninsula brand has been building its reputation as one of the world’s top purveyors of timeless luxury, ever since 1866. As a guest this is apparent in those wonderful moments of the finest attention to detail and unsurpassed service. Each stay is a memorable one. To enter to have the chance to win this superb prize, all you need to do is sign up to receive an inspirational newsletter occasionally from The Luxury Holiday Company. 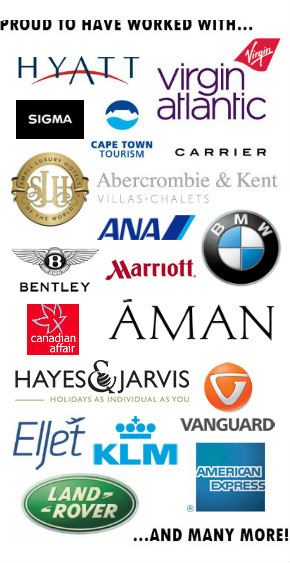 Sign up now by visiting The Luxury Holiday Company competition page. The Luxury Holiday Company truly believes that a holiday should spark joy and delight. The Luxury Holiday Company tailor one-of-a-kind holiday experiences that create lifetime memories. Their team of experts has over 210 years collectively of specialist travel experience. The Luxury Holiday Company experts have often lived in the destinations that they are specialising in, so that they can truly offer you the best insights and recommendations for your tailor made luxury holiday experience. One of their experts will listen closely to your thoughts, and then create the perfect itinerary based on their first-hand insights, to match your desires. The Luxury Holiday Company is independent at heart, so their experts have no allegiance with particular hotel or airline brands. Their only loyalty is to you, the customer. On The Luxury Holiday Company website, you’ll find a selection of sample itineraries, which are there purely to spark your imagination – which they certainly do! Disclosure: This post is sponsored by The Luxury Holiday Company. Indeed, this is a very tempting prize. Staying so close to Arc de Triomphe is rather special, not to mention the cuisine. Oh la la! Awesome.. Thanks for the chance.. This is too good to be true.. It’s so hard to describe how I feel because this is more than I can dream of!